I messed up my UI settings, and now the standard HUD takes up most of the screen, and some other HUDs don't even fit on the screen. I can't reset it because more than half of the settings goes off the screen when i try to fix it. So now when ever i log on to SL i just see a big HUD and i can't do anything about it. Any way to fix this? Click the "Reset to Default" button, which should reset the value to 1.000 from whatever you accidentally set it to yourself. Then you may log in. Yay, Rolig! On the ball as always. I would only add, dear Section8, that a "HUD" is a device that attaches to your screen...like the controls for an AO, or a clothing texture applier for example. What you are calling your HUD is more properly called the User Interface, or UI...that is, all the buttons and windows that are native to the viewer. 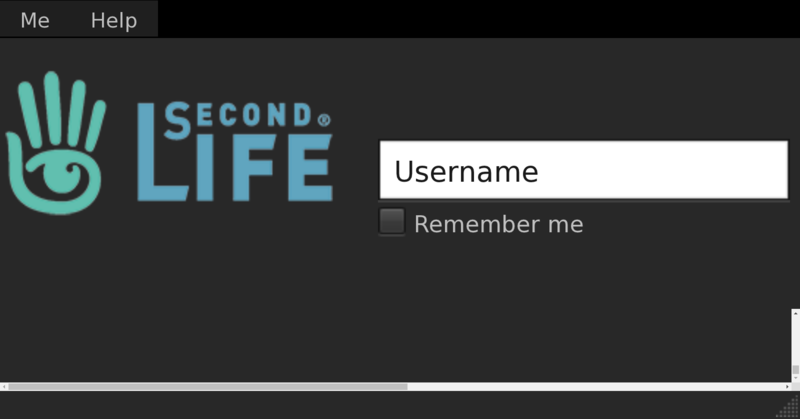 You can reach your Preference settings from the login screen by clicking on Me. HALLELUEA!! IT WORKED, THANK YOU SO MUCH! Thanks Rolig! I needed to fix this issue today. Instructions were very clear. You saved me a lot of troubleshooting time.